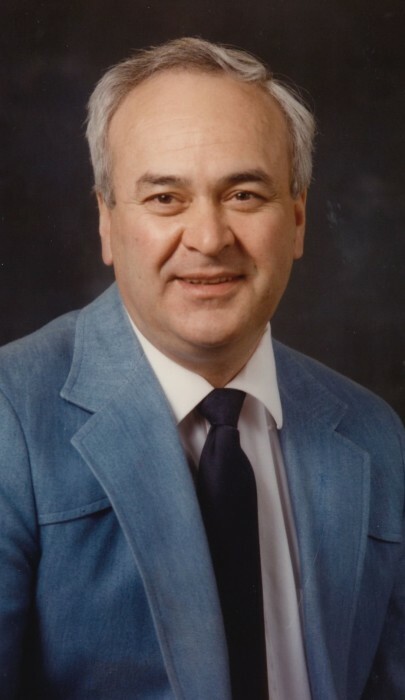 Obituary for James L. Strickler | Scala and Roefaro Funeral Home, Inc.
Mr. James L. Strickler age 80, of Clark Mills, NY passed away on Thursday March 21, 2019. He was born in De Tour Village, Michigan on August 9, 1938 as a member of the American Chippewa Tribe and son of the late Stanley and Verna Bernard Strickler. He was married to Nicoletta (Nicki) Dichiera on October 30, 1976 in Utica, a blessed union of 42 years. Jim was a devoted husband, father and follower of Christ. After more than 30 years working as a Butcher, with both the Chicago Market’s and Chanatry’s Market, he retired and volunteered his time as a Warehouse Supervisor at the Compassion Coalition – which was a charitable arm of the Redeemer Church with a mission to deliver household and grocery items to low income individuals in need. Jim was an avid collector of records, coins, and stamps. He was a member of the Mohawk Valley Antique Bottle Club and the Metal Detecting Club of Central New York. He was an outdoorsman who enjoyed hunting and fishing. As an active member of Redeemer Church, he lived much of his life as a servant of the Lord and with enthusiastic anticipation for his reunion with Jesus Christ. Jim was predeceased by his two sons Jeffrey and Brian Strickler his brother Ray and sisters Sandra and Velma “Katie” Strickler . Surviving are his beloved wife Nicoletta (Nicki); two daughters and sons-in-law Michele and Philip Przyluke of Sauquoit and Bernadette and Jeffrey Ulmer of TX. ; one son and daughter-in-law James and Buffy Grande of DC; grandchildren Lauren and Michael Antanavige, Tyler Przyluke, Grace, Lilly and Mya Ulmer and Georgia and James Grande; two brothers John and wife Dottie Strickler and Lawrence Strickler; daughter-in-law Debra (Mott) Strickler; his in-laws Dolores and Joseph Sarcone, Theresa “Tessie” Collicco, Jackie Grande and Tom Ganci, Rita and Pete Moore, Marguerite Dichiera and John “Lanny” Romano. Visitation will be held on Thursday afternoon from 2-4 pm at The Scala & Roefaro Funeral Home Inc. 1122 Culver Ave. Funeral services will follow at 5:00 pm at the Redeemer Church, 931 Herkimer Rd. Utica, NY 13502. Private interment will be in Calvary Cemetery.